Galway based property firm IAM-SOLD, which currently operates The Connacht Property Auction and The Munster Property Auction, has announced the launch of a new auction in Leinster, with its first public auction event being held on July 23. After the successful launch of its auction service in Connacht in 2013 and its subsequent expansion into the Munster market in 2014, the latest auction to be added to the calendar is sure to attract interest from all around the country. The Leinster Property Auction will offer properties from Dublin and all across Leinster while also including properties in Cavan, Monaghan, and Donegal. The company notes it is already receiving significant interest from west of Ireland buyers, in particular for investment properties which it is offering for sale through its Leinster operation. Botanic Court, No 30 - 32 Botanic Road, Glasnevin, Dublin 9: Offered at bids over €1.7 million in partnership with Kelly Bradshaw Dalton, Dublin. Investment properties which may interest west of Ireland based purchasers looking for solid returns are numerous at the upcoming auction. A development of high-end apartments will be offered for sale by The Leinster Property Auction in Botanic Court, No 30 - 32 Botanic Road, Glasnevin, Dublin 9. Offered at bids over €1.7 million, these properties are sure to attract strong interest from savvy investors seeking strong returns in a prime location. Botanic Court is a stunning development of seven luxurious apartments that should give a yearly return of in excess of €120,000; the yield on offer here will be in the seven per cent range. Built c2006, all seven apartments have been tastefully decorated where space and light have been the key components in the design, creating a real wow factor. Each apartment offers stunning minimalist modern living, and this should appeal to investors looking for a walk-in investment. From the sleek finish with walnut floors, oak doors and skirting boards, down to gloss tiled kitchens and large balconies, these apartments are a step above the rest. The Neptune Bar, Main Street, Blackrock, Dundalk: Offered at bids over €420,000 in partnership with Blue Sky Property, Dundalk. Another property which may interest purchasers from the west is a renowned licensed premises in Blackrock, Dundalk. This historic landmark property is located in the heart of Blackrock seaside village. Full of old world charm, the property retains many of the original features and has lots of character. The Neptune offers enormous untapped potential to expand while sitting on c0.17 acre, the land to the rear opens up the possibility of residential and commercial units subject to planning. The Olde Manse, Lagg Road, Malin, Co Donegal: Offered at bids over €360,000 in partnership with Neal J Doherty auctioneers, Carndonagh. Another property receiving interest from all across Ireland and indeed elsewhere is a fine period property in north Donegal. The Olde Manse is a beautiful period house situated on 1.5 acres of gardens and woodland in a stunning location overlooking Trawbreaga Bay and Isle of Doagh. 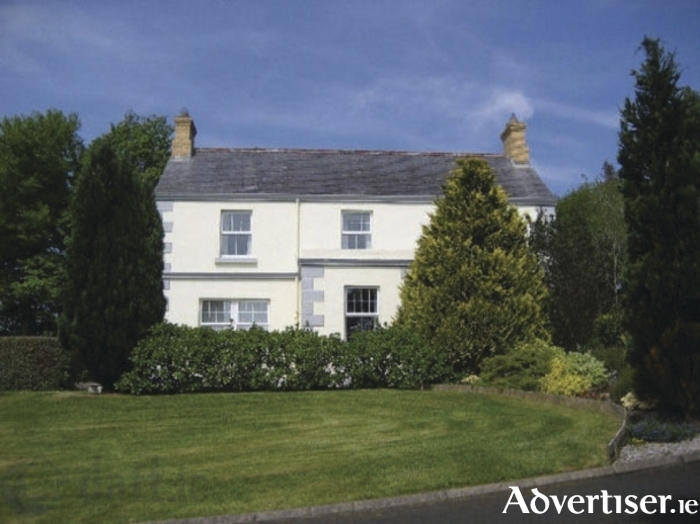 Full of character and space, this property lends itself to multiple uses. Rarely does an opportunity arise to purchase such a property. The auction team are now taking entries for the online auctions and upcoming public auction events and are inviting private property owners to contact them to discuss this route to sale.